As a blogger, I receive books in the mail from publishers and publicists all the time, to review. Unfortunately, I don't have time to review them all, not if I want to have time to pursue my own writing! However, I received a book last week that made sit up and take notice. 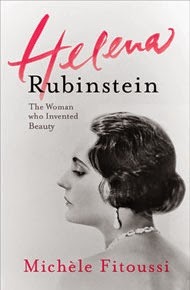 Helena Rubinstein: The Woman who Invented Beauty by French author Michele Fitoussi. The book was published by a new publisher in the UK called Gallic Books who are dedicated to publishing the best of French in English. I've long been fascinated by women entrepreneurs in the beauty biz, women such as Elizabeth Arden, Mary Kay, Madame C.J. Walker, Harriet Hubbard Ayers, Estee Lauder, and the grande dame of them all Helena Rubinstein. These women essentially created the beauty business, their success proved to men that there was money to be made in lipsticks, nail polish, and facial cream. 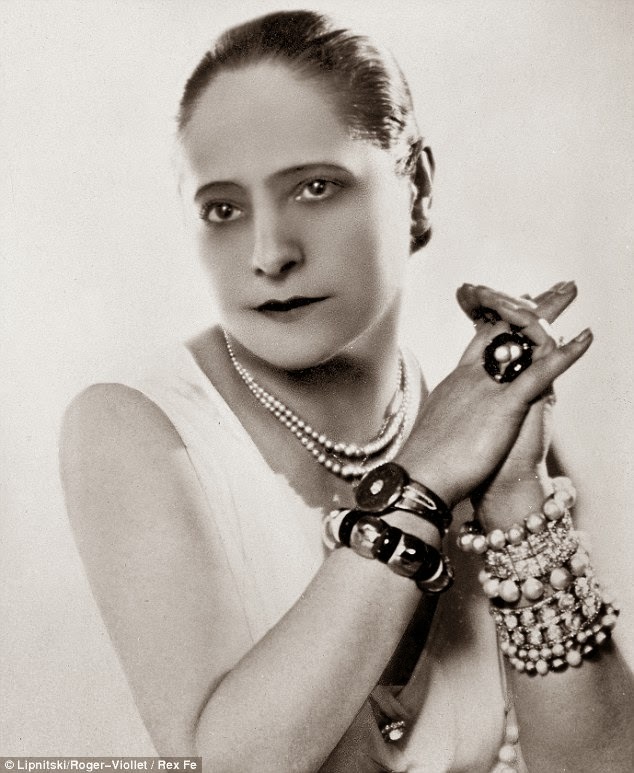 Helena was born Chaya Rubinstein in Krakow in Poland on December 25, 1872. Like most women, before the advent of Wikipedia, she fudged her birth date as the years went by. Rubinstein was the oldest of 8 daughters born to a Jewish couple, her father Horace was a not very successful shopkeeper in Krakow. From the very beginning, Helena dreamed of being rich and successful. She had no interest in learning the housewifely arts from her mother, instead she spent time with her father in his shop, dealing with the customers and doing the bookkeeping. When she came of age, she infuriated her parents by refusing every suitor who offered marriage. Not that her father had managed to save any money for dowries for her and her siblings! Helena had no intention of spending her life stuck in Krakow. Fortunately for her she had sympathetic relatives who lived in Vienna and Australia where she eventually ended up at the age of 24. It was her mother who introduced her to the beauty regiment that Helena would use to make her fortune. A local chemist had created a skin cream that her mother applied to her daughter's skin every night from childhood. Every few months she would buy a jar which she would then parcel out into little jars to make the cream last as long as possible. She impressed upon her daughters the value of washing ones skin thoroughly and giving ones hair a hundred strokes with a brush every night. In Australia, Helena discovered that the women suffered terribly from the hot Australian sun. She wrote to her mother to send her jars of the face cream which Helena then sold. When that ran out, and because it took months to get the cream from Poland, she tried to recreate for herself. Luckily there were plenty of sheep around to provide the lanolin that she needed for the cream! Helena was also lucky because she had made some valuable contacts on the boat out to Australia, including the wife of the Premier. After working as a governess, Helena moved to Melbourne where she worked in a tearoom. There she met an admirer who was willing to put up the funds for her first beauty cream that she called Valaze (Hungarian for 'gift from heaven'). Even though the cream was inexpensive to make, Helena realized instinctively that she needed to sell the cream at a pretty price, because women would buy it if they thought it was expensive and exclusive. As she put it, "Women won't buy anything cheap. They need to have the impression they're treating themselves to something exceptional." Even the ingredients were considered exotic. Helena claimed that they were made from rare plants from the 'Carpathian mountains.' Before long the small jars were flying off the shelves. From the beginning, Rubinstein seemed to have a sixth sense about what would sell and how to market it. She had put a great deal of thought into the packaging and the decor of her salon. While Rubinstein wasn't beautiful, she knew how to make the most of what she was given. Her personal mantra was 'There are no ugly women, only lazy ones.' She dressed extremely well, even when she had very little money. Although she was under five feet tall, she made up for it with her personality. Men were always drawn to her, but Helena had little interest in getting married. Her business was her life, expanding it from Melbourne to Sydney and then eventually to London. She was now in her thirties and had never been kissed by a man. 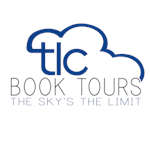 Eventually she met Edward Titus, a Polish-American journalist who she had met in Australia. He was worldly, witty, charming and sophisticated, but they also shared similar background. In her After a long courtship, he finally convinced her to marry him in 1908. Edward was a huge help in her business, he had a knack for advertising. Edward wanted children, so Helena dutifully provided two sons, Roy (born in 1909) and Horace (in 1912). Helena was ecstatic to have boys, after growing up with 7 other women, and she'd always gotten along better with men. But Helena was not particularly maternal, the boys were raised mainly by nannies and tutors. And the marriage was not happy, Edward was a womanizer. The couple fought constantly, breaking up and making up. Each infidelity increased her jewelry collection, as she would buy a new piece to assuage her unhappiness. Edward also hated that he was dependent upon her for money. He dreamed of being a publisher (he eventually published D.H. Lawrence's Lady Chatterley's Lover). Helena belittled his dreams, she would withhold money from on a whim before finally giving in. Her business was her life, before long she'd expanded the business to Paris, and then during WWI to New York. 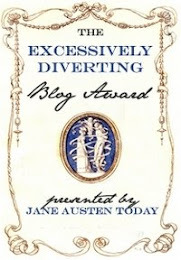 Helena wasn't prepared to rest on her laurels and just coast. She worked tirelessly with chemists to create new products, kept abreast of new skin treatments, traveling widely to Europe to meet with doctors. She had her own factory in both Paris and New York to create her products. Helena was one of the first to come up with waterproof mascara and sunscreen. Ahead of the crowd, Helena also introduced the concept of 'problem' skin types, dry, oily and combination. 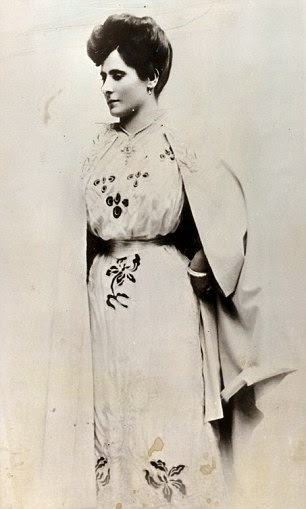 Realizing the value of celebrity endorsements, she persuaded Margot Asquith, wife of the Prime Minister, to allow Helena to show her how to highlight her features with cosmetics. When Asquith when out in public wearing cosmetics, society ladies flocked to copy her. Like a ripple effect, soon ordinary women wanted to look like their betters, and they were soon wearing make-up! Soon Helena Rubinstein had a rival in Elizabeth Arden. Although the two women never met, they were fierce rivals, keeping a close eye on what the other one was doing and then trying to outdo the other one. They cultivated the same beauty editors, went to the same gala events in New York. By 1923, Rubinstein had over 70 products on the market. There were also business setbacks. Just before the Great Depression, Helena sold her American business to Lehman Brothers for $7.3 million dollars (the equivalent of over $80 million dollars in today's money) but it was clear that they had no idea what to do with her company. When the stock market crashed, Helena bought the company back for less than $1 million dollars, making her a profit of $6 million! Michele Fitoussi's book is a gold-mine of information about the early days of the cosmetic industry and the remarkable rise of this self-made millionaire. You can't help but admire Helena's chutzpah even as you cringe at the mistakes that she made in her personal life. On the one hand, she gave employment to many of her sisters and relatives, which gave them a life that would have been impossible otherwise. On the other hand, she also treated them like dirt sometimes, playing them off against each other. She favored her youngest son Horace over her eldest Roy but undermined them both at work. Her sons spent years in therapy trying to deal with their 'mommy' issues. While Roy became an alcoholic, Horace became a reckless driver, eventually dying in a car crash at the age of 47. Having divorced her first husband in 1938 after 30 years of marriage, she married Prince Artchil Gourielli-Tchkonia. He was 23 years younger than his bride. Helena adored being a princess, plus it meant that she had one-upped Elizabeth Arden! Rubinstein was also a compulsive shopper. Having grown up poor, Helena bought art, clothes, jewelry, real estate like it was going out of style. She had a good eye, however, and bought many artists before they became famous. She was particularly fascinated with African and fine art. Self-educated, Helena was fascinated with what was new and interesting. Only later in life, when she got older, did her enormous energy flag and the business began to suffer. After years of being at the forefront of the beauty business, she seemed content to let men like Charles Revson and companies like Maybelline take the lion's share of the market. Anyway, Madame had always been about luxury, selling her products at her salons and at upscale department stores. She had no interest in having her products in Woolworth's and drugstores. Rubinstein died in 1965 at the age of 95. Her heirs sold the company first to Colgate-Palmolive in 1973. The company is now owned by L'Oreal who still sell Helena Rubinstein products mainly in Europe and the Far East. 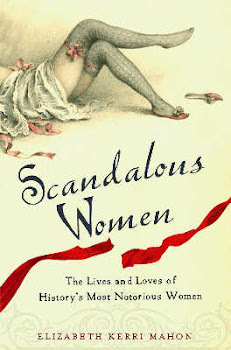 I highly recommend Michele Fitoussi's book if you are interested in either the early days of the cosmetics business or in reading about a woman who wasn't content to settle for the status quo or what was expected of her but had ambition to burn. There were a few typos or things that were just not checked properly. For example, Fitoussi writes that Rubinstein found a space on 49th Avenue for her salon in New York which is somewhere in Queens. I'm pretty sure that Rubinstein probably never set foot in Queens until she was buried there. At another point, she states that Greta Garbo and Jean Harlow were huge movie stars during the war. Garbo stopped making movies in 1941 and Jean Harlow died in 1937. People might have still liked their old movies but they certainly weren't top box office! In the end, while I admired Helena Rubinstein, I'm not sure that I liked her very much as a person. As a business woman though, she was phenomenal. Without her or Elizabeth Arden, people like Bobbi Brown, Estee Lauder or Laura Mercier wouldn't exist. She showed the world that beauty was big business, and brought cosmetics into the mainstream, when previously only worn by prostitutes or actresses. She made make-up respectable. 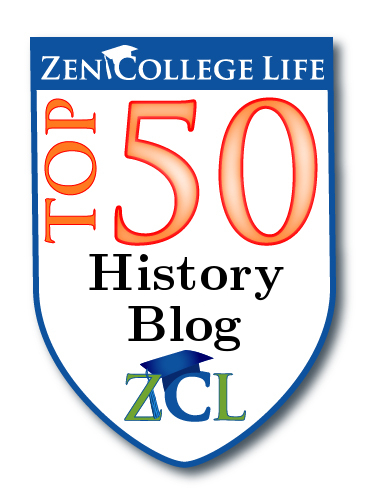 Loved your guest post about Helen Rubinstein. She did a lot for the cosmetic company. Have to look up more about her for your post made it seem like she led an incredible life.